Blue Pearl 2,300 miles 5,000 dollars in extras 14" Ape Hangers on 4"Risers Quality braides lines and Custom grips Python True Dual Crossover pipes with fishtails C&C custom embroidered saddle Ginz Choppers sissy bar with pad with matching Fender Bib Screaming Eagle Stage 1 Road King Nacelle with visors Chrome Sprocket Cover axle nut covers. 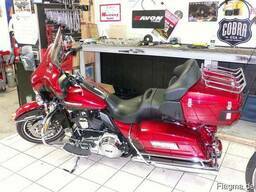 HD Chrome Tool Box with tool kit. 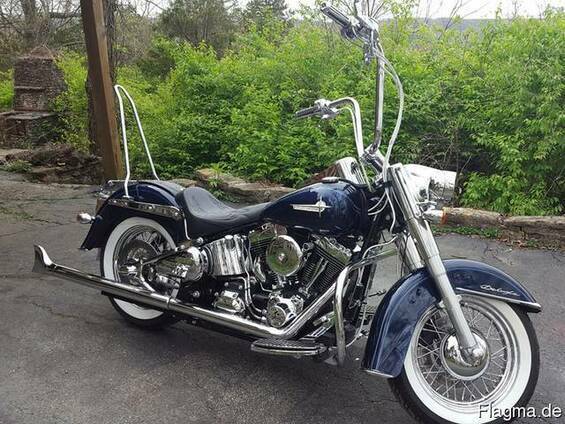 HD Floorboards passenger and Driver Fat twisted shifter linkage Chrome switch covers Almost new whitewall tires Lay Down License Holder HD Crash bars Freshly serviced and ready to ride.